From the chaotic time of the Dark Ages comes this magnificent helmet worn by the elite mounted troops of the Slavic princedoms. 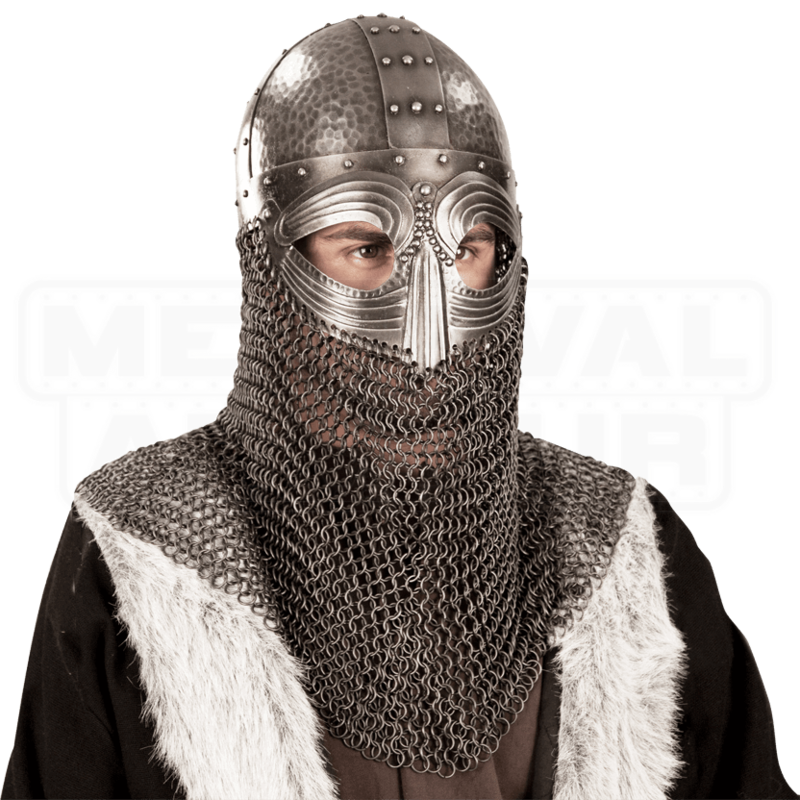 The Vendel Viking Helm allows you to armor yourself like a true warrior. Vendel warriors were known for their fierceness as well as their elaborate armour, as shown in this piece. 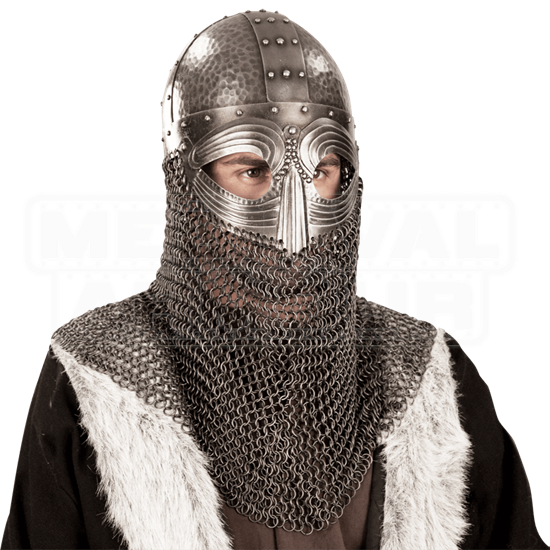 This helm is hand-made of 18 gauge steel, has a rough-hammered dome, and a highly ornate face guard. In addition, a shoulder-length, steel aventail has been added for both protection and a foreboding look. A soft adjustable cloth liner allows for a great fit and comfort.